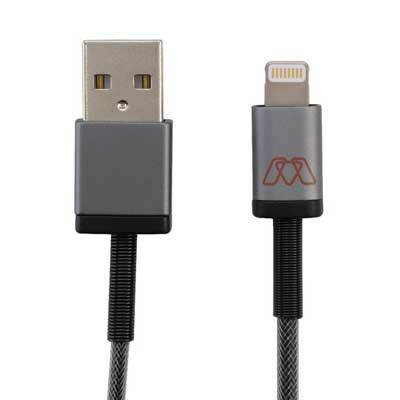 The MOS line of Spring Cables combine style and strength and are the perfect companion for today’s high-tech smart phones and electronic devices. Choose MOS Lightning™ Cables for use with Apple® devices or Micro USB for most Android™ phones. The Lightning and USB cables feature a durable steel exoskeleton while the audio cables have a durable braided cloth exterior. All cables have heavy-duty aluminum tips and come with a lifetime limited warranty. Plus the special spring feature provides extra reinforcement at the point of greatest wear. Strong, tangle-free charging & syncing.